A game of logic with the most unusual & tricky questions that require creative approach. Looking for a game that is brilliant, creative and strange at the same time? Now you can become a logic mastermind by solving the most unusual and tricky questions you have ever seen! The puzzle contains tricky questions that incorporate use of memory, attention and the ability to think in unconventional ways. This is the first version of a brilliant and unusual puzzle that tests your attention and ability to think outside the box. CREATIVE PUZZLE & ABSURD SOLUTIONS! There are more than 200 unique and funny problems. What you need is to try various creative approaches to reach the solution. 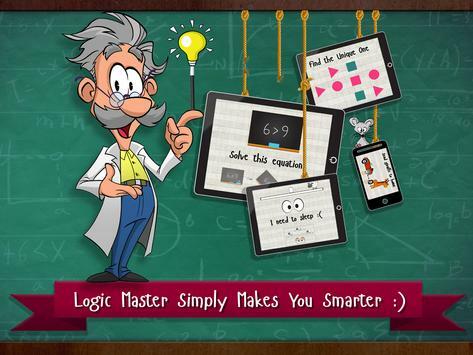 Logic Master is an addictive free IQ game and find out if you are genius like Einstein or not! This crazy game is an ingenious puzzle with a series of funny brain teasers and absurd solutions that you will never ever think before. Works offline so you can solve brain training problems wherever you are. Improve your memory, concentration and mindfullness. 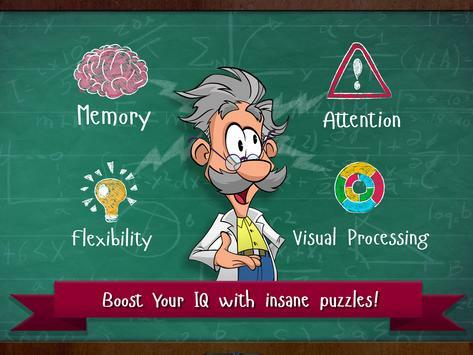 Logic Master is a fun based brain training game designed to improve attention, flexibility, visual and spatial processing and memory skills. The more you solve the puzzles, the more you will raise up critical cognitive skills that are designed to boost your productivity and creating alternative solutions for the daily problems. Try to advance your mental core abilities, challenge your friends, compare your performance and motivate each other. A stronger working memory enables quicker learning and an improvement in brain connectivity. 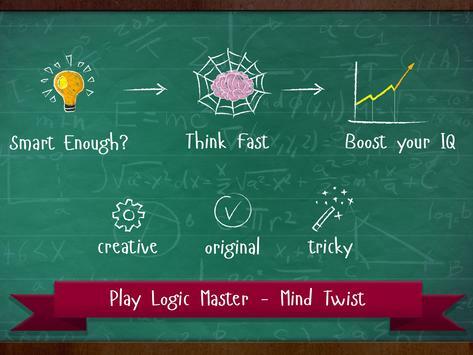 Please review Logic Master 1 Mind Twist Game and submit your comments below. We will collect all comments in an effort to determine whether the Logic Master 1 Mind Twist app is reliable, perform as expected and deliver the promised features and functionalities.